Oh what an absolute TREAT Kaitlyn’s session was for me. 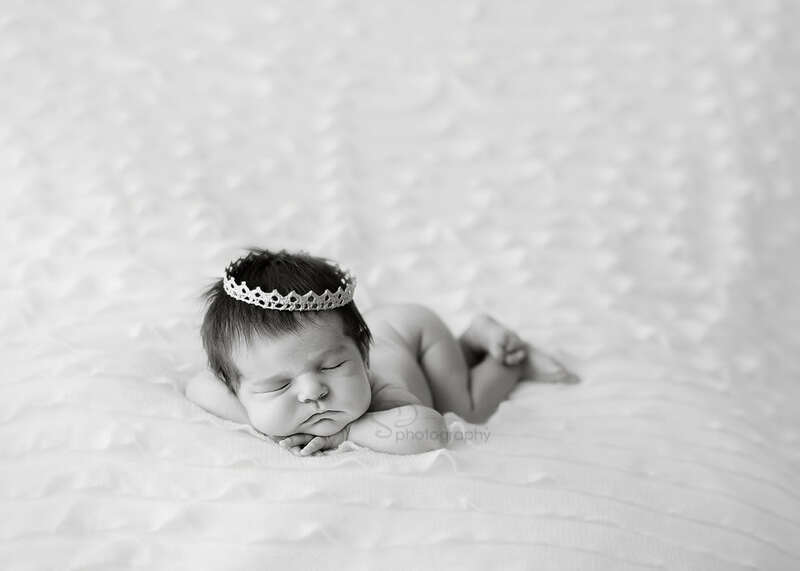 Not only did she arrive completely sleepy, but she was truly one of the most beautiful newborns I’ve photographed! Towards the end of her session, THEN the second treat arrived, her proud big sister McKenna! 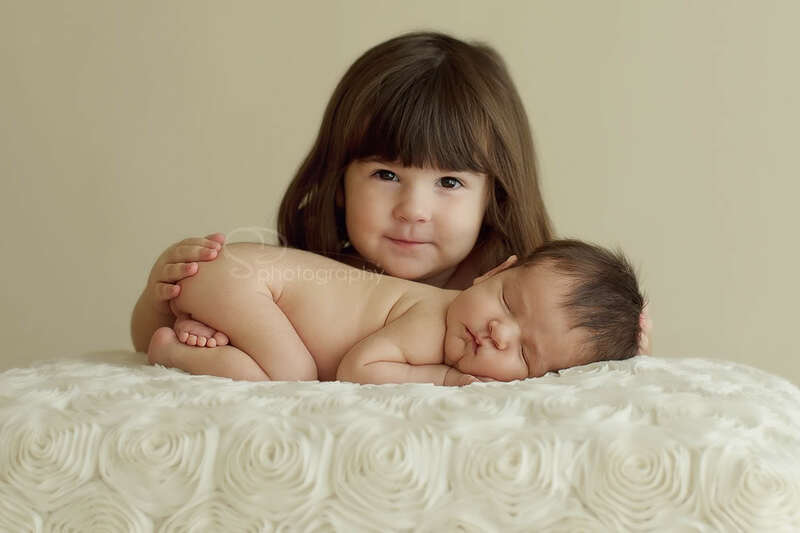 I often tell parents who want to attempt a sibling shot to have little expectations and to not put any pressure on older siblings to perform. Then, I cross my fingers and get manipulative! Everything worked perfectly for these beauties and I hope I’ve captured the new bond they have! BIG thank you to their parents for choosing me and trusting me with their most precious baby girls! I totally LOVE my new yellow peanut butter bucket…. just the cutest! Angela - These are so beautiful! Gorgeous light! stacy - OMG you are AMAZING!!! these are pure perfection Shannon!!!! Jennifer - Absolutely the best we could have hoped for! Exceeded our expectations, even!! Thanks a million for everything, Shannon!! Trish - Wow, you can really photograph babies. Amazing. You are very talented!!! 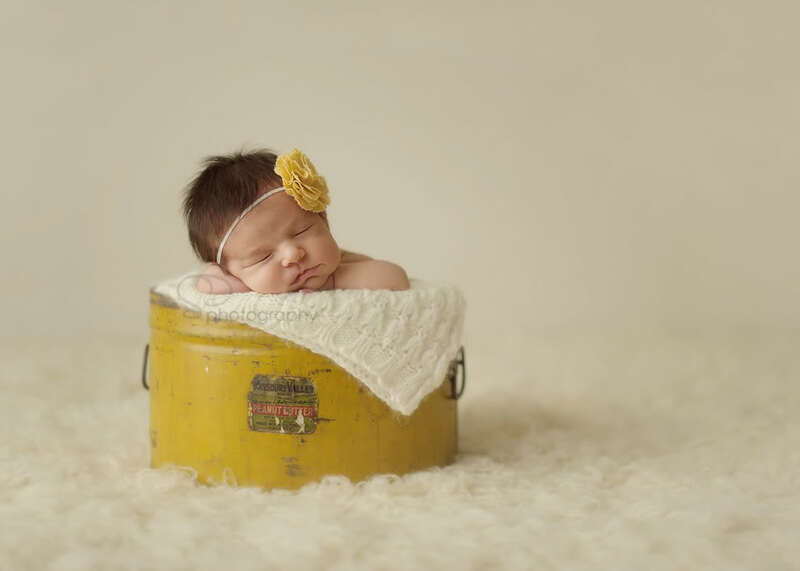 © 2019 Iowa & Wisconsin Newborn Baby & Child Family Photographer|ProPhoto Blogsite by NetRivet, Inc.